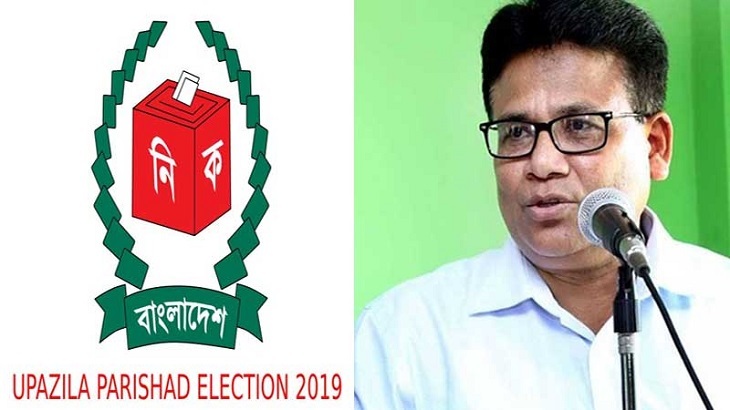 The voter turnout was 43.32 percent in the first phase of the countrywide upazila elections, said Election Commission Secretary Helaluddin Ahmed on Monday. "A total of 78 Upazila Parishads went to polls on Sunday, where some 43.32 percent of the voters cast their votes," he said while talking to reporters at his Nirbachan Bhaban office. About reported election irregularities, the EC Secretary said the balloting at some polling stations were suspended and now the Commission will take legal actions against those involved in anomalies following investigations, reports UNB. The polling in 28 election centres was cancelled while three election officers arrested on various grounds during the first phase upazila election. On February 3, the Election Commission announced the election schedule for 87 upazilas in Phase I of the 5th Upazila elections. Later, the polls to six were postponed on different grounds. Besides, the candidates against all the Union Parishad posts of three upazilas have already been elected unopposed. The 5th upazila election will be completed in five phases holding polls to some 480 upazilas out of 492. The EC has so far announced the election schedules for the first four phases. The second phase of the election is billed for March 18, while the third for March 24 and the fourth for March 31.